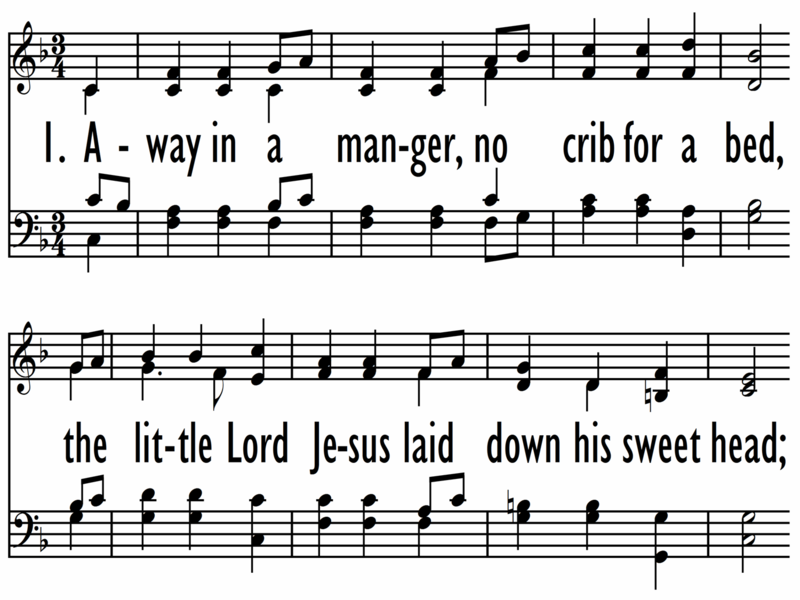 With the original two-stanza text, AWAY IN A MANGER was first published in James R. Murray's Dainty Songs for Little Lads and Lasses (1887) and initialed “J. 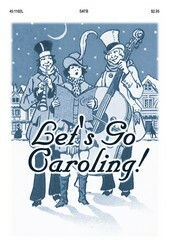 R. M.” Murray compiled the songbook and is now thought to be the tune's composer. However, Murray's hymnbook erroneously de­scribed this song as: "Luther's Cradle Hymn. Composed by Martin Luther for his children, and still sung by German mothers to their little ones." As a result, the hymn was wrongly attributed to Luther for many years. 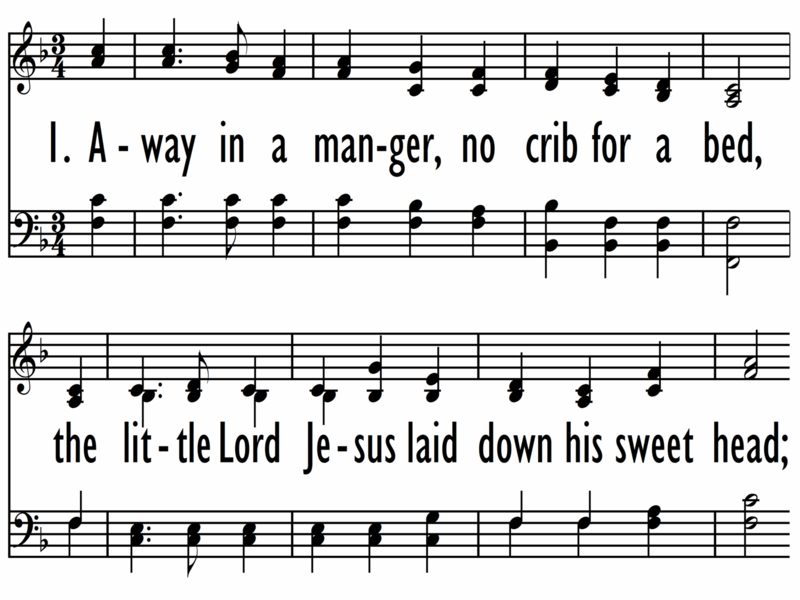 AWAY IN A MANGER is a simple tune in ABAC form, probably best performed with light organ accompaniment and/ or with flute, recorder, guitar, or Orff instruments. "Away in a Manger" is a fine young children's choir anthem; it could be sung by children alone, with adults humming the harmony. The hymn is suitable for two-part, four-part, or unison singing. Try also to sing unaccompanied. Maintain one pulse per bar. As a young man taught by such famous music teachers as Lowell Mason, George Root, and William Bradbury, James R. Murray (b. Andover, MA, 1841; d. Cincinnati, OH, 1905) also studied at the Musical Institute in North Reading, Massachusetts. From 1868 until the Chicago fire of 1871 destroyed the company, he edited the Song Messenger for the publishing firm of Root and Cady. He then returned to his birth place, Andover, and taught music in the public schools. From 1881 to 1905 he was an editor for the John Church Company of Cincinnati, an important publisher of church school materials and gospel music, including the monthly Musical Visitor. Murray composed many gospel songs and tunes and compiled a number of church school songbooks that contained his music.